"Hello there, human! I'm Deanna. 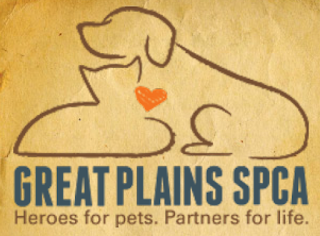 I came to Great Plains as a rescue with 7 (SEVEN!!) newborn babies. Want to know what I'm thankful for this Thanksgiving season? I got to stay in a lovely foster home while my kids grew big enough to be adopted. And despite all of them being black kitties like me (it's tough for us to find homes, you know), they were all adopted within days. Now it's my turn to find a forever home." "I'm a very friendly girl who loves meeting new people. I'm very affectionate and love to be petted. I'm still just a young thing myself, which means I also love to play. Oh, and I'm sure you've noticed -- well, I'm a bit of a looker, if I do say so myself. How about coming over to meet me? We can be home in time for Thanksgiving!" 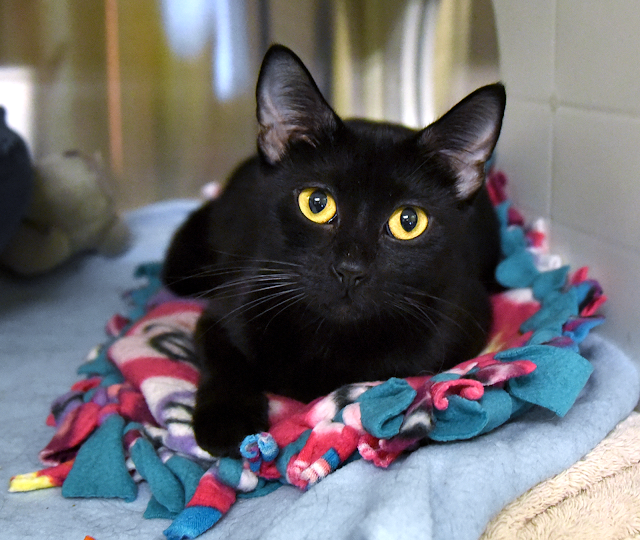 "Being around people is where I'm meant to be and I'd love to find a forever home today. The people here are nice and take good care of us, but it's just not the same as a real home. I'm just an all around fun and interesting lady.....and beautiful to boot! What more could you ask for? Deanna is available at the Merriam Campus of Great Plains SPCA, today. You are an absolute beauty, Deanna!!! Paws crossed that Deanna finds a home soon! Deanna has the most beautiful eyes and fur. Hope she finds a home soon! Oh sweet girl, you are so beautiful and so deserving. I hope that the lovely Deanna is home for the holidays. Black cats ROCK! Deanna, you sure are a beauty. Purring for that special Forever Home for you soon. Deanna, you are a gorgeous kitten. I love your black furs and gold eyes. You remind me of someone I know :-) More and more people are realizing that black kitties are special just like any other kitty, so I hope you are able to find your perfect forever home soon. Bless you Deanna - may fortune favour you with a truly wonderful home. Paws crossed that beutiful Deanna finds a home soon! well look at those incredibly expressive eyes..